If the pollution in the Animas River was a comet, the tail would be passing through the town of Durango now, said Aaron Kimple with Mountain Studies Institute. Like a comet, the 3 million gallons of toxic water accidentally released from the Gold King Mine in Silverton brought intense but hopefully passing effects. The fact that the river has not seen any widespread fish or insect dieoffs five days after the initial release is a good reason to be optimistic, he said. The Animas, now more of a greenish hue, has carried iron, lead, copper, aluminum and other metals downstream from the mine. But, as of Sunday night, the EPA had not released the total levels of metals in the river. This makes it difficult for local experts to weigh in on the longterm impacts and any possible cleanup that could be done. “There is not going to be an easy solution,” said Dan Olson, executive director of San Juan Citizens Alliance. As time passes, the metals will settle to the bottom of the river, and it will be safe to use for drinking water and recreation again. 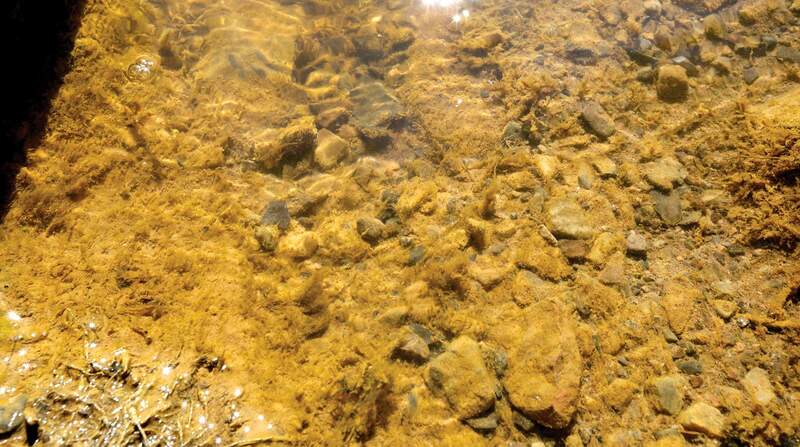 In the long term, attempts to dredge for these metals would likely stir up metals from past pollution releases. In the aftermath, Olson said he hoped the event would help shine a light on the ongoing pollution coming from the mines in Silverton. “I think it’s hopefully going to help our communities ask much harder questions,” he said. Mines in the Silverton area started draining about 600 to 800 gallons per minute of acidic mine waste into the Animas in the mid-2000s, said Peter Butler, co-coordinator of the Animas River Stakeholders Group. Sunnyside Gold Corp. put in several large bulkheads and closed down its water-treatment plant in 2003, and over time caused the water table to rise and old, formerly dry, mines, including the Red, Bonita and Gold King, to start draining. There has been reluctance in Silverton and San Juan County for any part of the area to be listed as a Superfund site for several reasons. Some residents would like to see mining return to the area, and the Environmental Protection Agency has never said definitively what areas would be listed, Butler said. Instead, the Animas River Stakeholders Group has been doing smaller projects around the basin to cut back on heavy-metal pollution, and it has been successful in some cases. A water-treatment plant in the area could cost about $1 million a year to operate, Butler said. However, the cost of a treatment plant should be weighed against the economic impact of future mine blowouts, Olson said. Scott Roberts, aquatic biologist with Mountain Studies Institute, collects insects from the Animas River to check their health Sunday morning near Rotary Park. The institute had been keeping an eye on the insects just before and Wednesday morning’s accidental release of toxic minerals from the Gold King Mine, and it has kept up the study after the accident. So far, Roberts says the bugs are doing all right. But he said only time will tell. Nasty muck collects on the bottom of the Animas River near Rotary Park on Sunday. 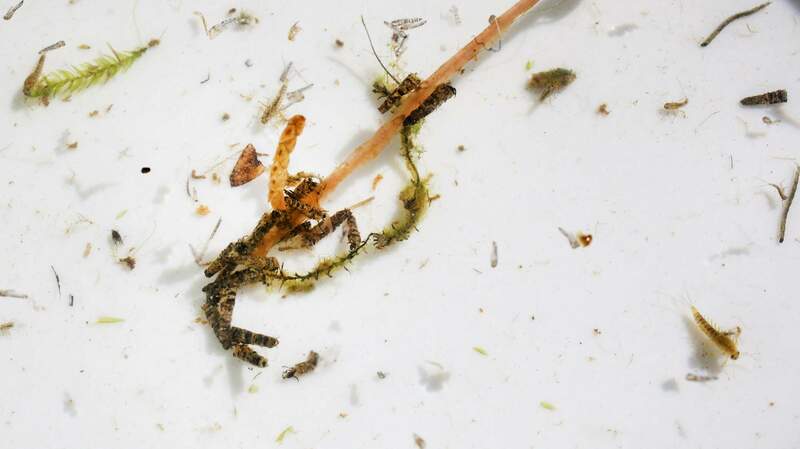 Baetis, cased caddis, net-spinning caddis, black flies and midges are just a few of the insects that Scott Roberts, an aquatic biologist with the Mountain Studies Institute, is keeping an eye on in the Animas River near Rotary Park on Sunday. 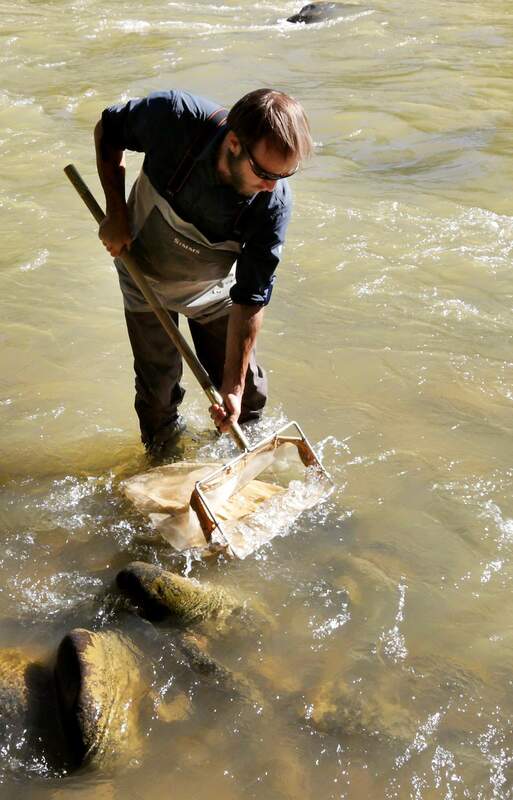 Baetis, cased caddis, net-spinning caddis, black flies, and midges, are just a few of the insects Mountain Studies Institute aquatic biologist Scott Roberts is keeping an eye on in the Animas River near Rotary Park on Sunday. 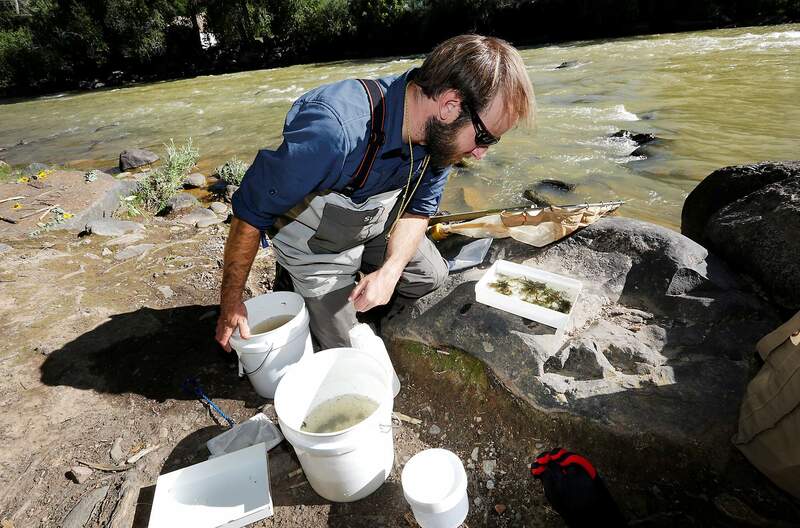 Scott Roberts, aquatic biologist with Mountain Studies Institute, collects insects Sunday morning from the Animas River near Rotary Park to check on their health. The institute has been keeping an eye on insects just before and after the accidental release of toxic minerals from the Gold King Mine So far according to Roberts the bugs are doing all right, but time will tell, he said.